There are certain things one associates with Easter. The Easter Bunny obviously. And of course, eggs. And now, mustaches. Because mustache. That’s why. Proving that is never too early to grow a ‘stache, Williams Sonoma is giving the world Easter Mustache Tattoos just in time for… well, just in time for any time honestly. 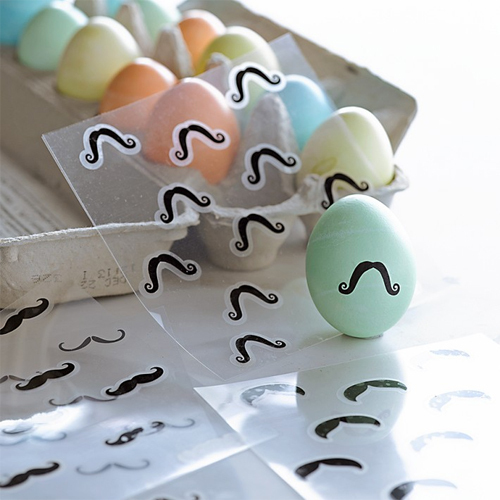 The mustache decals come in four different styles and are meant to be used directly on dyed eggs. 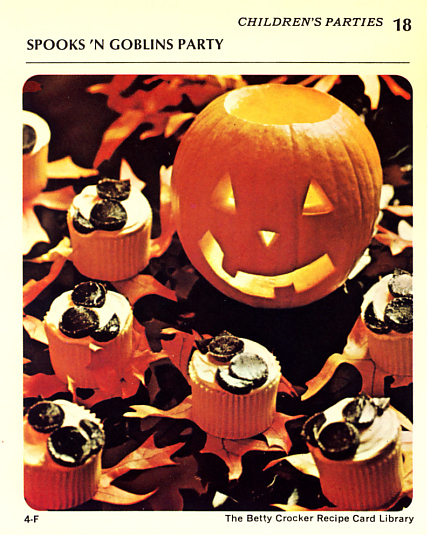 Just peel the backing and transfer the ‘stache from sheet to egg. The Easter Bunny has never been so stylish! 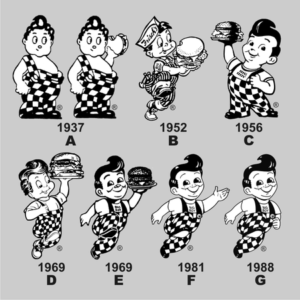 What do you think of when you see a waffle? A dolphin? So smart you are! A crab? 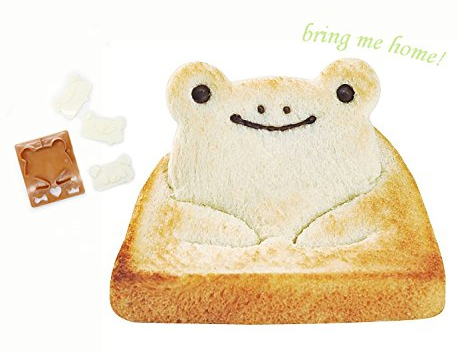 Who doesn’t think of crab when they think of waffles? A sea horse? Well, of course! The Sea Waffles Waffle Maker understands. 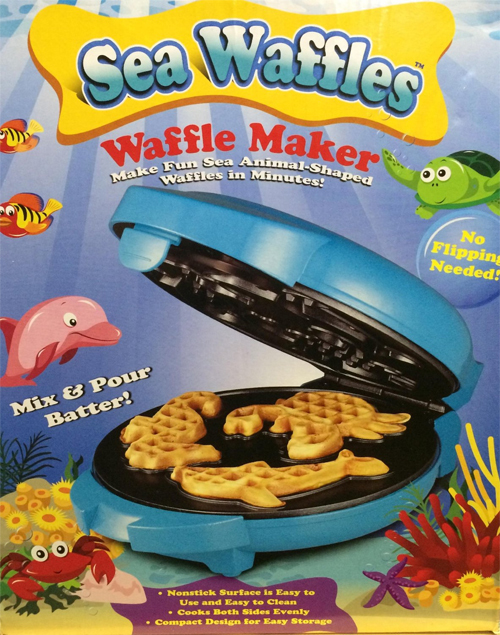 The little clamshell appliance serves up dolphin, crab and sea horse waffles quickly and easily with none of that fishy smell. Just pour in the batter and in moments the little fritters critters will be ready to eat. Because everybody knows syrup goes better with waffles than sea food.